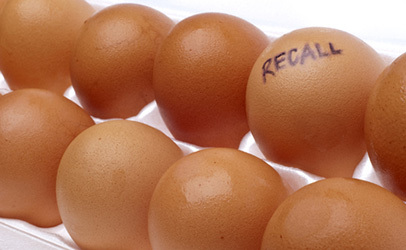 The number of U.S. food products recalled — and the costs associated with those recalls — have nearly doubled since 2002, according to a report by reinsurance company Swiss Re. In more than half of those recalls, the process of recalling the food cost the affected company more than $10 million. Some companies lost more than $100 million in direct costs associated with the recalls. The report stated that the increasing number of recalls can be explained by a combination of regulatory changes and the advent of an increasingly globalized food supply chain, which creates more opportunities for problems to be created and caught. At the same time, the portion of the U.S. population which is sensitive to pathogenic contamination and allergenic ingredients in food is growing, making the prospect of selling risky food even shakier, according to the report. The country’s population as a whole is aging, while people seem to be diagnosed with food allergies at higher rates. According to the U.S. Department of Agriculture, the public cost of foodborne illness was $15.6 billion in 2013, with much of that cost being caused by foods that were ultimately recalled.